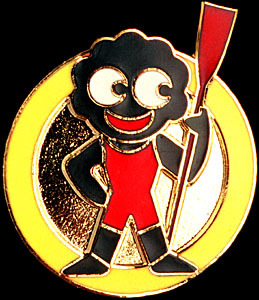 The Gollympic Games set was issued in November 2000. 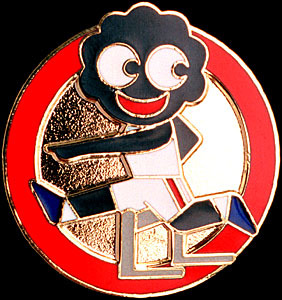 Although there was no direct reference to the Sydney Olympic Games on the promotion (for legal reasons) the issue clearly celebrated the games which were held 15th September  1st October 2000. 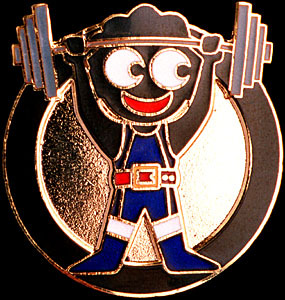 Some of Britain's strongest events, Rowing and Riding  were included in the designs. 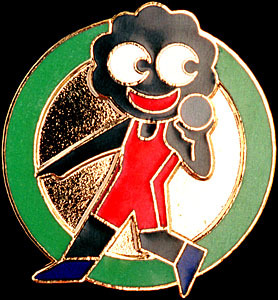 The issue was limited to 2000 boxed sets of 5 brooches. Each design is enclosed in one of the Olympic rings. The brooches cost £30 plus 3 tokens. The black leather bound presentation box marked a vast improvement in packaging when contrasted to the plastic box which was used to present the Euro Footballers earler in the year. 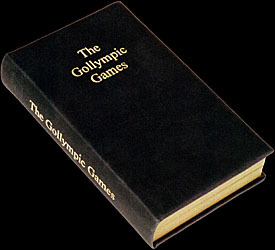 The box has the appearance of a book with The Gollympic Games on the cover and spine, the pages being edged in gold. There is no separate certificate instead it is incorporated into the inside lid. 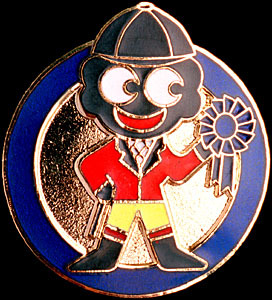 The reverse of each brooch carries the individual number of the set. The fastening is the traditional pin and safety catch. 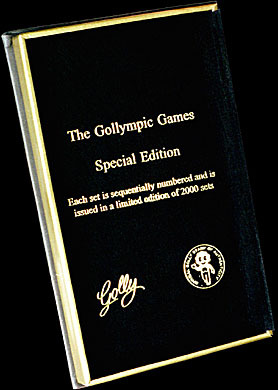 The Gollympic case has been found with 2 shades  the lighter shade is rarer.